The February meeting will be at 7:00 pm on the 21st at the University of Tennessee Space institute, room H111. The program for the meeting on February 21 will be presented by Tom Cowan, one of our club members. 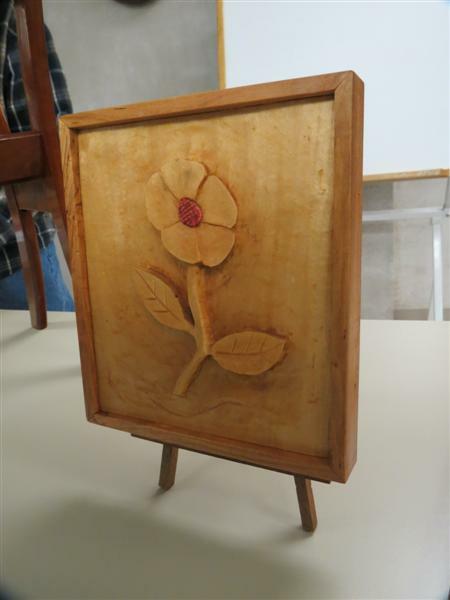 Tom will be speaking on the topic "Early Tennessee Cabinet Making". He always makes an interesting presentation and we are looking forward to what Tom has in store for us. Come out and see what Tom has to share with us at the February 21st meeting. It is time to pay your 2012 club dues. They were due in November, 2011. Contact Bob Addington at the next meeting and take care of this soon. Want to know who your 2012 TVW officers are? Click here to view the 2012 TVW officers. Click here to view the 2012 "Event Schedule" and take a look at the activities planned for this year. the forum), Henry for hosting, all the “mentors” for making this a great success. Also, thanks to Stanley Dunn for the really good meal. the next workshop at our regular meeting. You can get all the needed information by logging on to the TVW forum and checking out the “Longworth Chuck” topic discussion. site. Additional information will be available at the regular meeting. decided to acquire some buckeye for a future project. 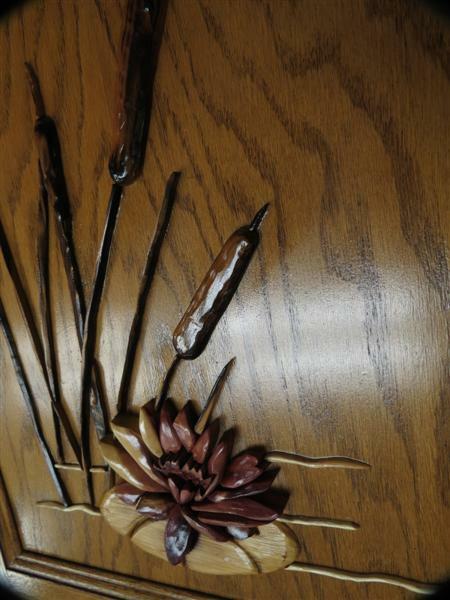 The carvers normally meet on the first Saturday of each month and work on individual or group projects. Anyone interested in carving is welcome to attend these monthly meetings. meeting will be presented at the next regular club meeting. WANT TO MAKE THOSE NI-CADS LAST LONGER? Scott Short found a procedure on the internet describing how to rejuvenate Ni-Cad batteries. He tried it and it worked. If you have old Ni-Cads and want to bring them back to life, contact Scott. way to swap ideas and learn new tricks of the trade. and experiences with other members through the forum. items are being added all the time. 393-3191 and leave a message. Your 2012 TVW dues are now payable. If you have not paid by the end of February, your name will be automatically removed from the roster. Bob at 249 Big Oak Drive, Manchester, TN 37355. Our dues are only $10.00 for a single membership, and $15.00 for a family membership (what a bargain). 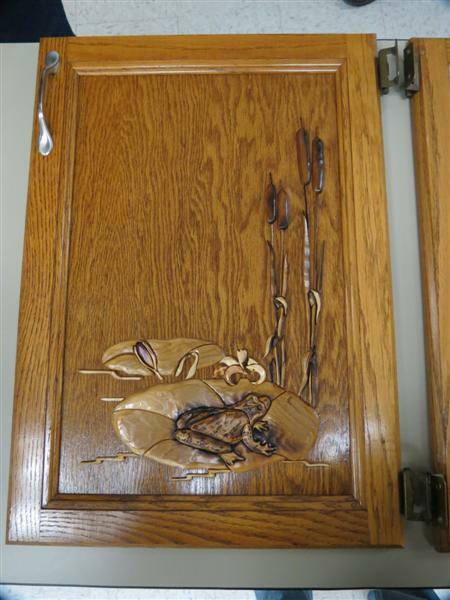 Jim Everett- displayed a sampling of intarsia, lots of detail, that he is doing on cabinet doors for a client. 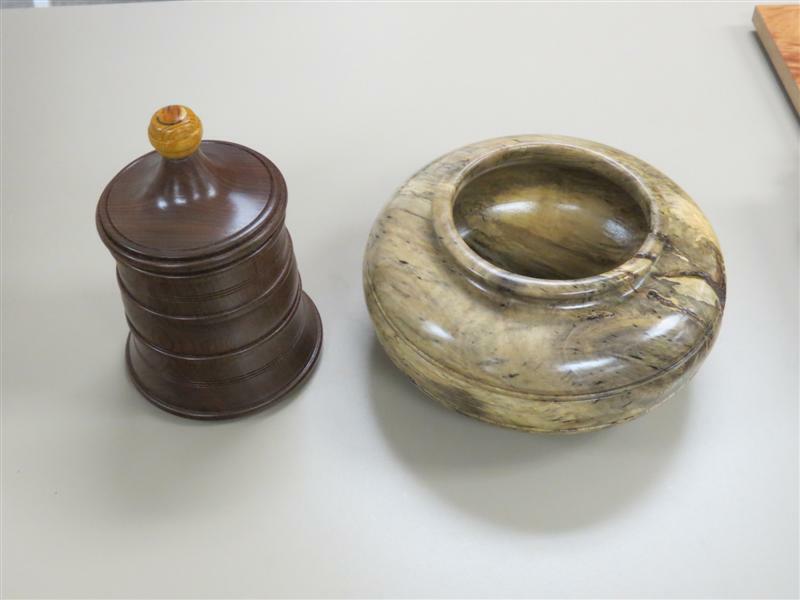 Jay Hazel- showed his expertise with a small bowl made from an Elm tree that had been blown down from a tornado that hit the Stones River Battle Ground Park. 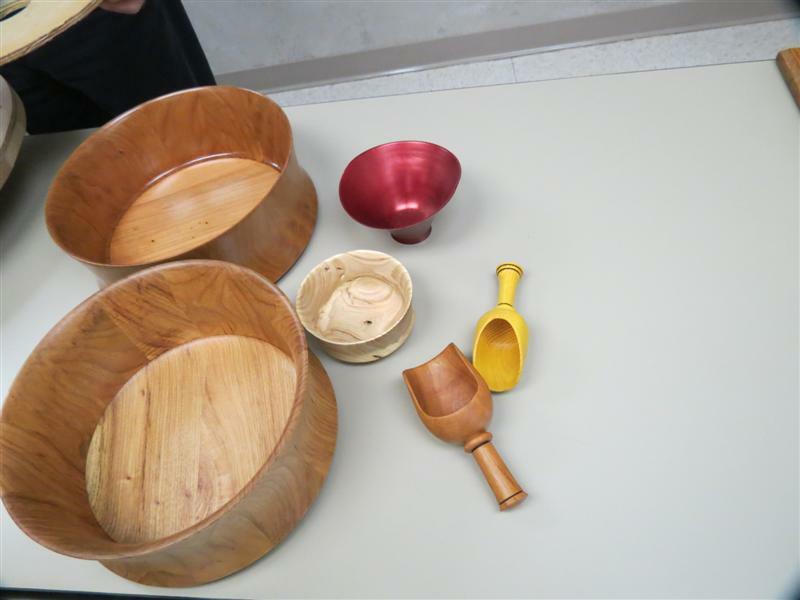 He also had a staved bowl made of curly cherry and a small bowl from a piece of cut off hickory. Mickey Knowles- made a vase and a bowl with a fitted lid. 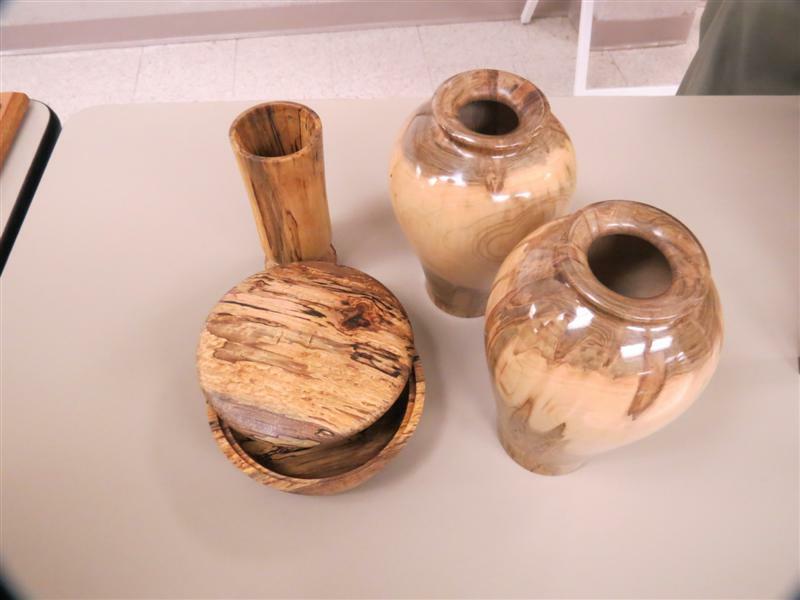 Doyle McConnell- had made 2 vases from some spalted maple. A lacquer finish was used on both of them. Jim Van Cleave- displayed a cherry magazine rack that he had made several years ago. 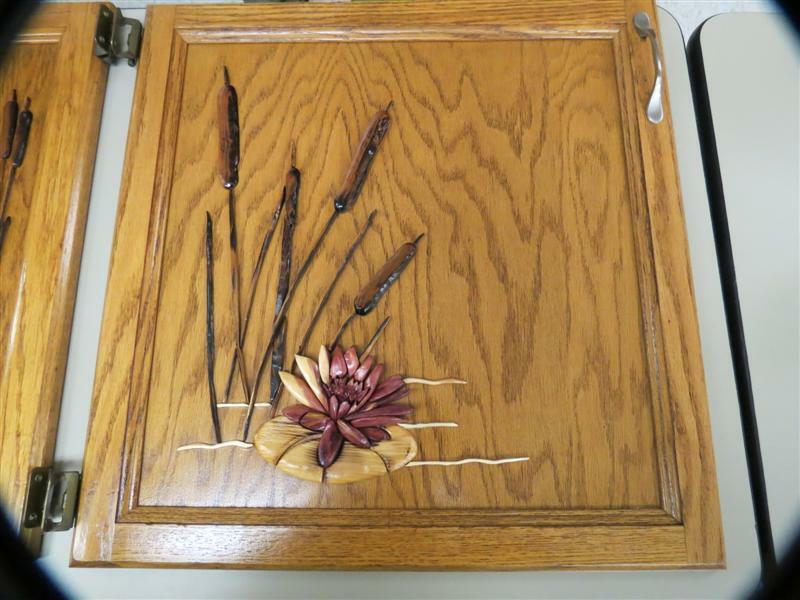 He also had a relief carving of a flower. 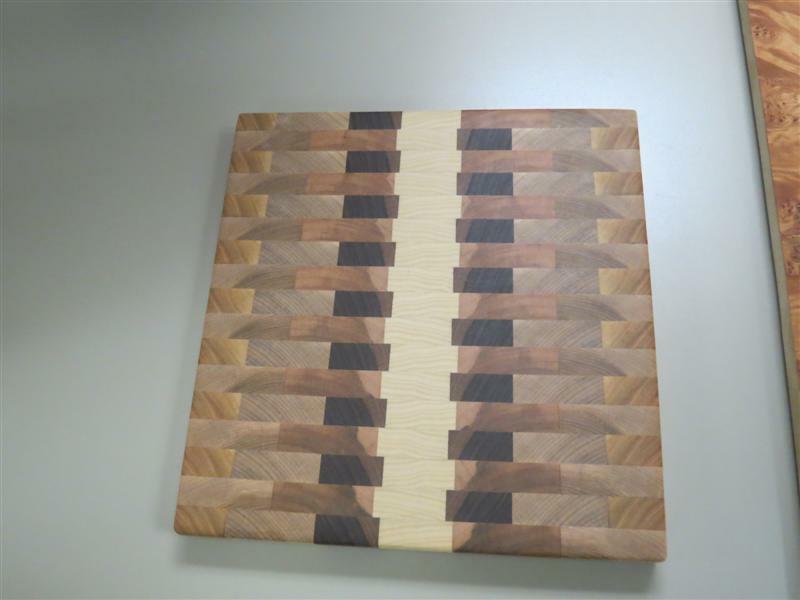 Ross Roepke- showed a cutting board of segmented woods, made by a lady in a mill and a book-matched piece of Elm Burl veneer. 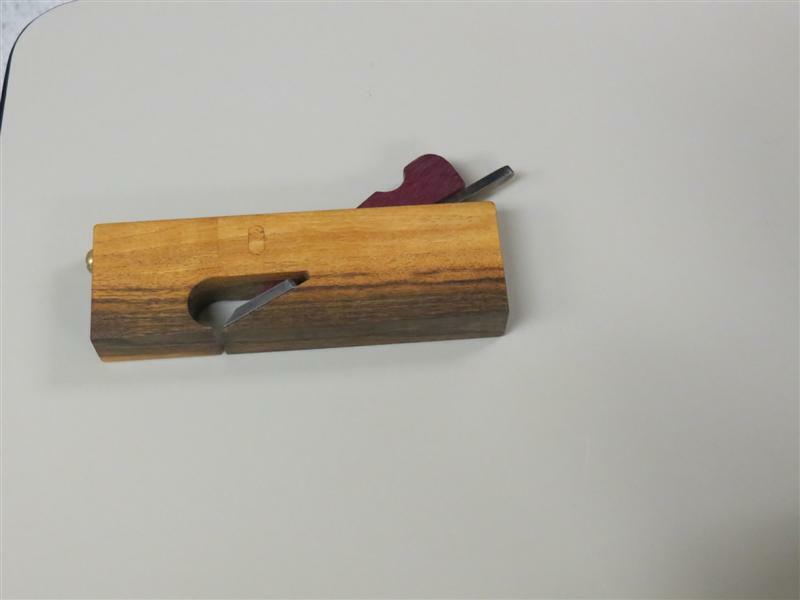 Gary Runyon- had made a shoulder plane from Ebony and Mesquite. 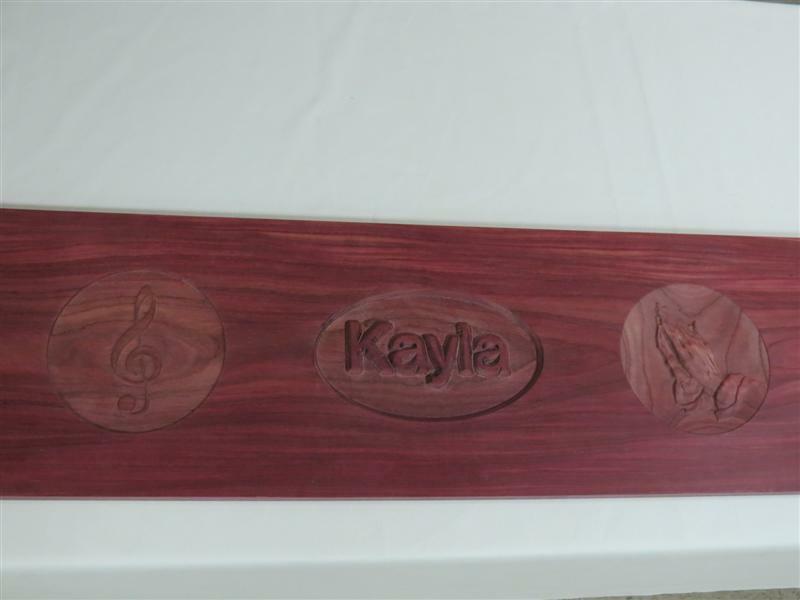 Bob Addington- had used his CNC machine to carve a recessed treble clef in a 7” diameter, the name Kayla and praying hands in a 7’ diameter. 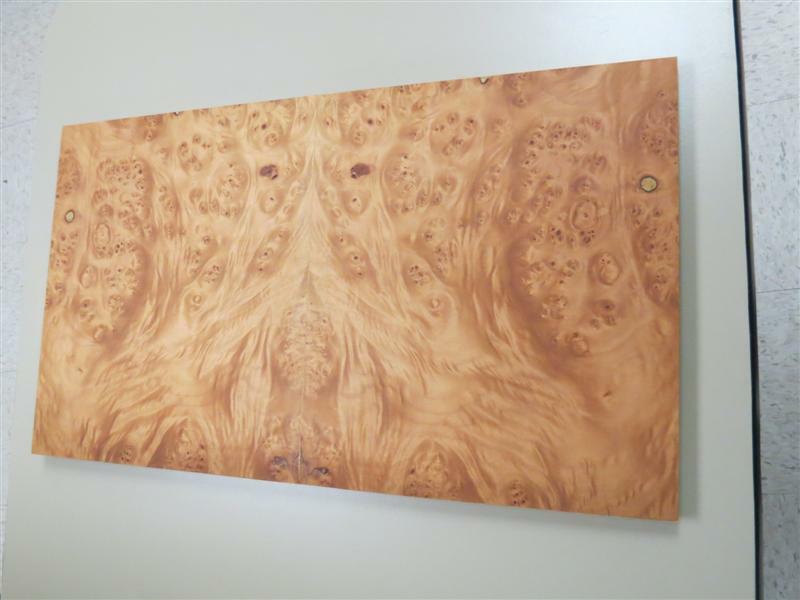 This was all done on a ¾ x 12 x 40” piece of Purple Heart. Dan Sweet- was showing a piece of Purple Heart that Bob Addington had carved on his CNC machine. This was going to be used for the front of a chest that he is making for his granddaughter. Phil Bishop- was displaying a bowl turned from spalted holly and a lidded box turned from old growth walnut topped with a knob of Osage-orange. 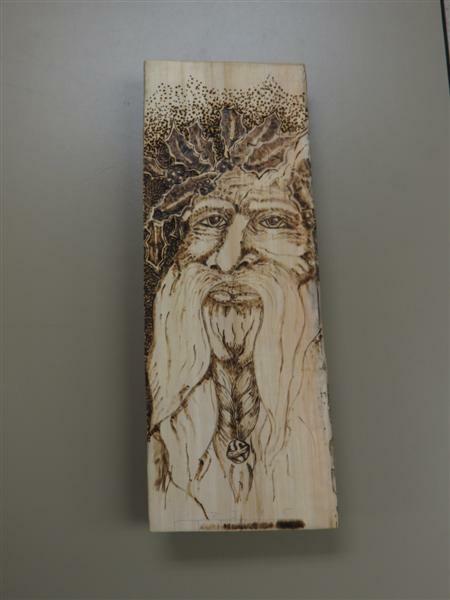 Jim Jolliffe- showed an image of a face that was wood burned into a piece of basswood. 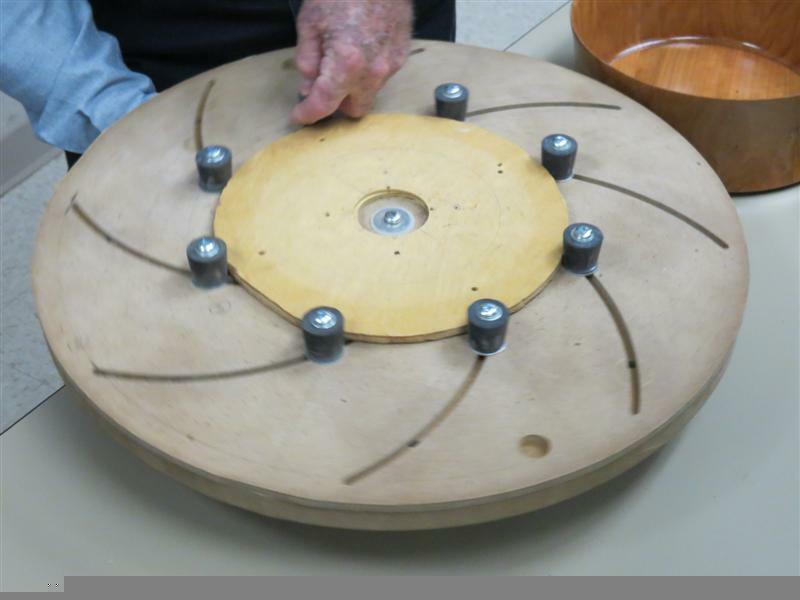 Loyd Ackerman- displayed a Longworth chuck that he had created in preparation for the Longworth chuck workshop. Schedule of events for 2012 has not been set as of this issue. To view the "Link of Interest" on our web site, please click here. 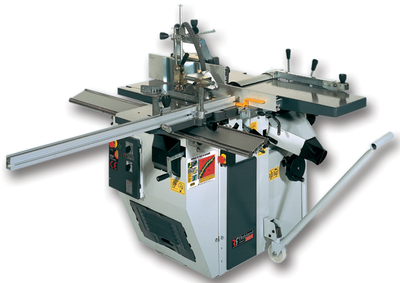 For Sale - Delta Platinum Edition 10” contractor’s saw, 36” fence with router plate cut-out in the extension table. Contact Richard Gulley (931-967-5477). The owner of this machine is moving and does not want to take the machine with him. if you are interested, Phil Myers, one of our club members, is the contact. 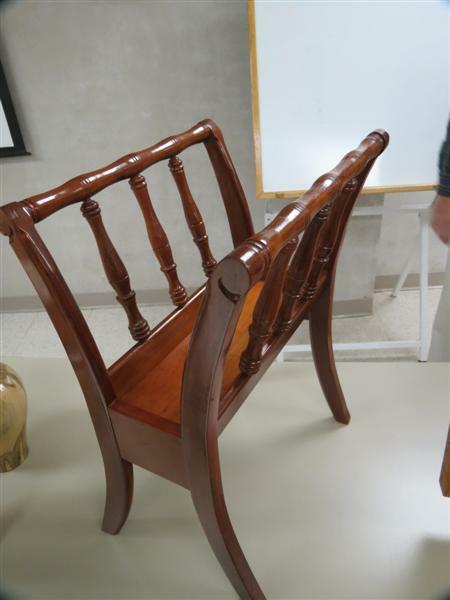 If you have woodworking items for sale or are looking for woodworking items, please send information to Chuck Taylor at 931-728-7086 or email to taylorcw@bellsouth.net . PHILLIPS SCREWDRIVER: Normally used to stab the vacuum seals under lids. Can also be used, as the name implies, to strip out Phillips screw heads. GLUE SIZING MITER JOINTS "MAKES THEM STRONGER"
quickly and leaves behind a smaller amount of solids, resulting in a weaker joint. the joint, let it dry overnight, and the next day, assemble it as you normally would.